Adding a home extension is a great idea for a number of reasons. It can add quite a bit of value to your home, as well as increase the amount of living space. It can give you a new way to appreciate spending time in your own home and with your family. However, it’s not always the easiest thing to figure out what kind of home extension you might want. A person has a lot of options when it comes to home extensions, and some of them are mutually exclusive. Given all of that, how can a person decide what to do for their home? Well, the first step is to remember that it’s all subjective. What do you want? What do you need? However, you do need to know what’s available before you can figure that out, so here are a few home extension design ideas. When people think of home extensions, they often think of adding a new room off of an existing room. This is certainly an option, but there are several reasons why it’s a poor one. First, being able to add a new room off of an existing one requires having enough yard space to accommodate the new room. Depending on where you live, that might not be a realistic hope. The other reason is that the roof is the most expensive part of the house, requiring quite a bit in material and labor to extend. If you build a second story on top of your first story, you can use existing roof structure. You won’t have to worry quite so much about buying new roofing materials, since your current roof can be used. Not only will building up help you save space, but it also helps you save money. That makes it a good idea! And it also leads into the next idea. These are just a few examples of the ways in which you can extend the living space at your place. We’re sure you can come up with even more ideas! If you’re going to add a second story, you could decide to make the staircase the main feature of the interior design. This can be done with sweeping spirals and chandeliers, giving the front hall an open, elegant look. You could also add gallaried landings, making the front hall something of an art show! This is a great way to make your home feel larger than it is, as well. Since the front room is essentially a staircase, the rest of the house branches off from the front door. This means you have to walk the long way around to get to places, which not only makes it feel larger because of how far people have to walk to get places, but allows you to ensure guests will see your entire home. While it’s not a true extension, you’d be amazed at how much of a difference simply re-configuring can make. You can take out a wall to open up a room, put in a wall to make two new rooms, the possibilities are endless. This also allows you to spend less money over all, since you won’t need as much by way of new material. It’s even a shorter job, meaning your home will be yours again far more quickly! 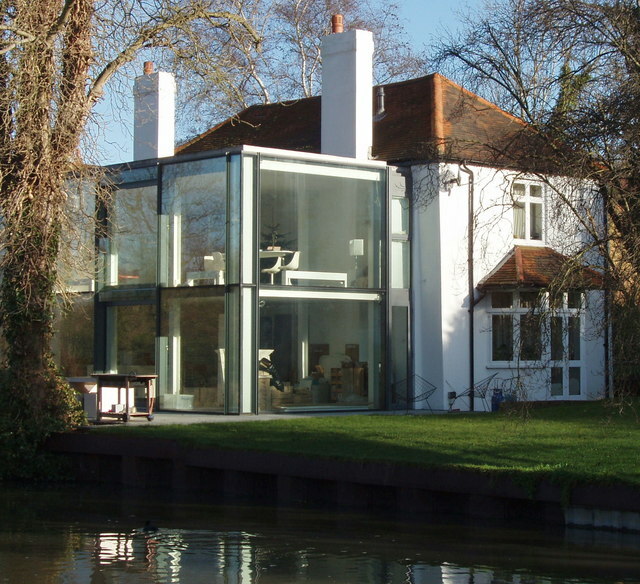 Ultimately, the design of your home extension needs to fit your personal desires and sense of style. Do you want to add an extension that blends in with the old part of the house, or something that contrasts? If you want something that contrasts, how sharply should it contrast? These are questions you’ll need to ask yourself. But once you have the answers, you’ll really enjoy what you can find for your home.